Universal Lighting Technologies 4-ft LED Linear retrofit kit is suitable for 6000-Lumens 82 CRI 4000K T5/T8/T12 fluorescent troffers, vapor tights, wraps or strip fixtures. Kit includes two EVERLINE® LED lensed modules/light bars, LED EVERLINE® driver with 0 - 10-Volts dimming, wiring harness, installation hardware and simple installation instructions. It provides premium optical performance using a broad distribution angle to eliminate dark zones. Diffuser offers broad, even light distribution. It incorporates a careful binning process to confirm color accuracy and consistency. 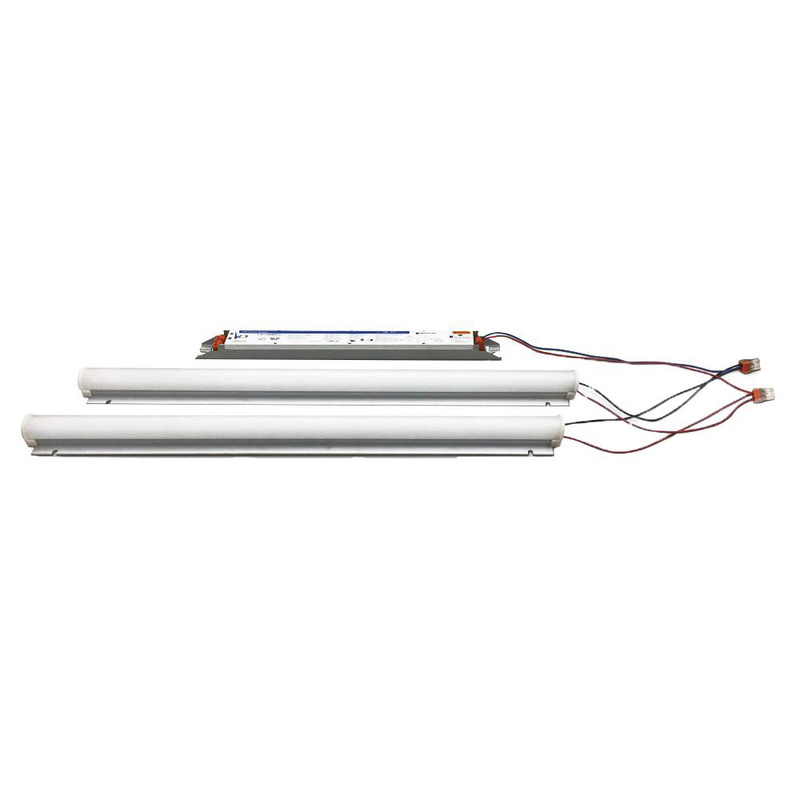 LED Linear retrofit kit is UL listed, CSA certified, FCC certified and RoHS compliant.